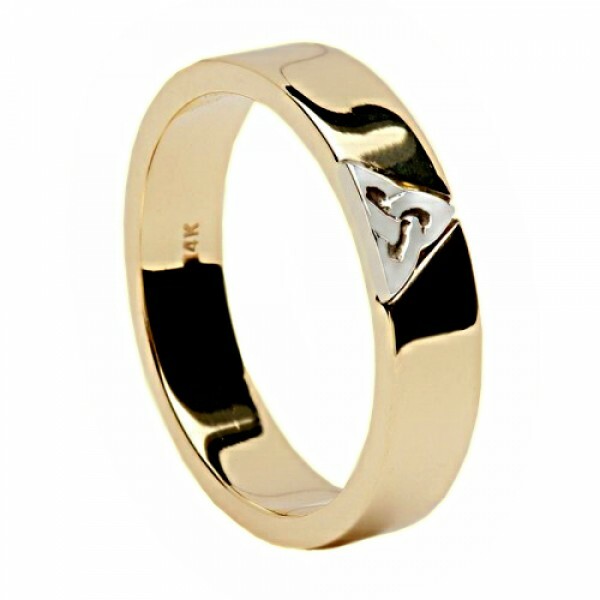 A beautiful Yellow Gold Ring, made in Ireland, featuring a White Gold Trinity Knot made in 14 Karat Gold. The Trinity Knot was originally a Celtic symbol that represented Eternity - the 3 corners stood for Past, Present and Future. Early Christians adopted the symbol as a representation for the Blessed Trinity.